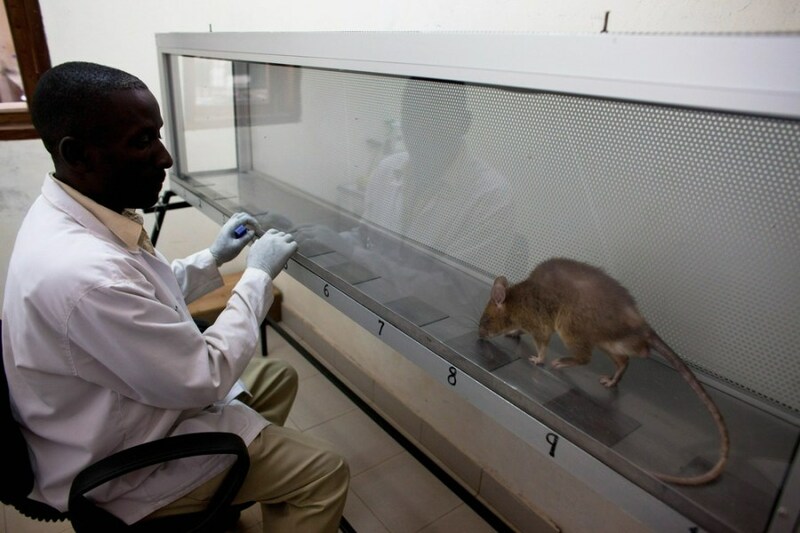 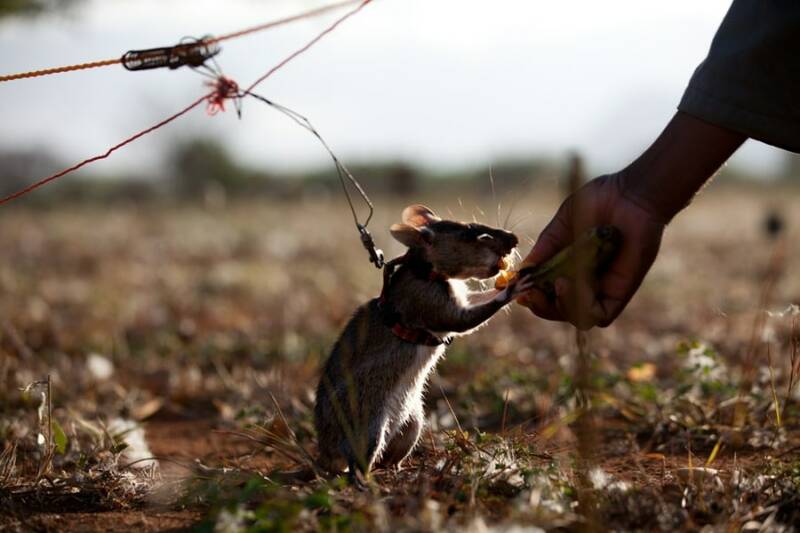 A baby giant African pouch rat is is watched by its trainer as it learns to correctly identify the scent of tuberculosis in sputum samples during a training exercice at the grounds of a pioneering Belgian NGO in Morogoro, Tanzania on October 27, 2010. 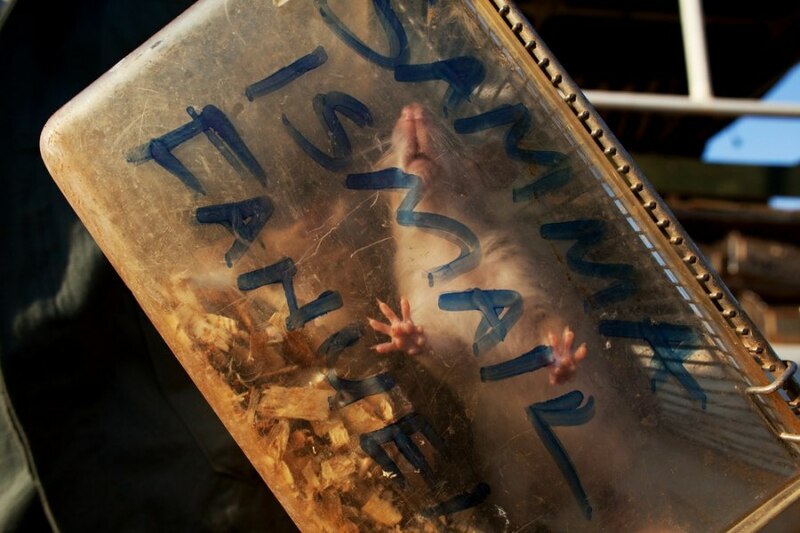 A baby giant African pouch rat is carried in a cage by its trainer at the main grounds of the center. 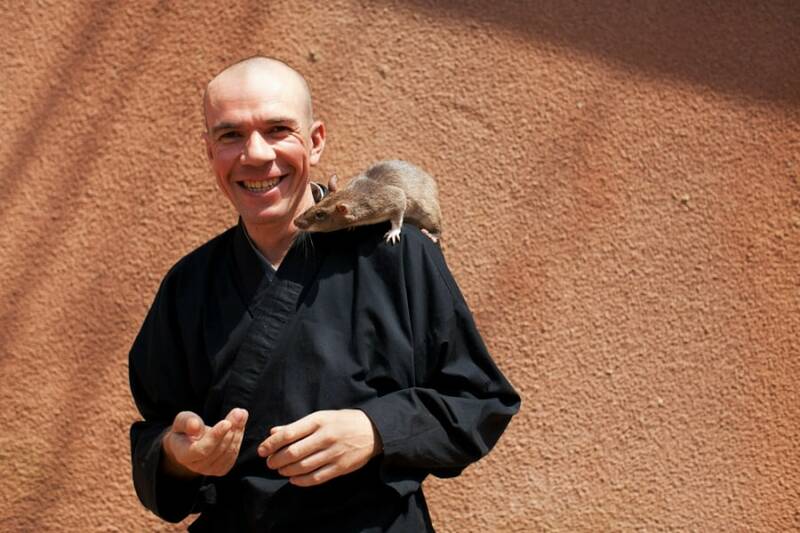 A baby giant African pouch rat sits on the shoulder of the Bart Weetjens, the founder of APOPO, the Belgian NGO that's teaching the rats to smell out landmines.